We were thrilled to find a good supply of rhubarb at the grocery store today. It was just the excuse we needed to create some rhubarb cocktails for quite sometime. Let the games begin. First up, the Dirty Rhubardtini! Rhubard syrup (you can use this for multiple drinks): Cut up 4 rhubarb stocks into 2 inch chunks. Add them to a pot with a cinnamon stick. Cover them with water and bring to boil. Let the pot simmer for 3-4 minutes. Strain the mixture through cheesecloth into a pitcher. Let the mixture cool in the refrigerator, you should have around 2 cups. Once the mixture cools stir in half a cup of agave syrup, or to taste. The drink: Place a martini glass into the freezer for a few minutes. 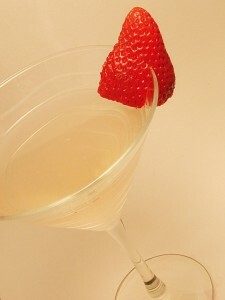 Combine the gin and strained rhubarb syrup in a cocktail shaker with several ice cubes. 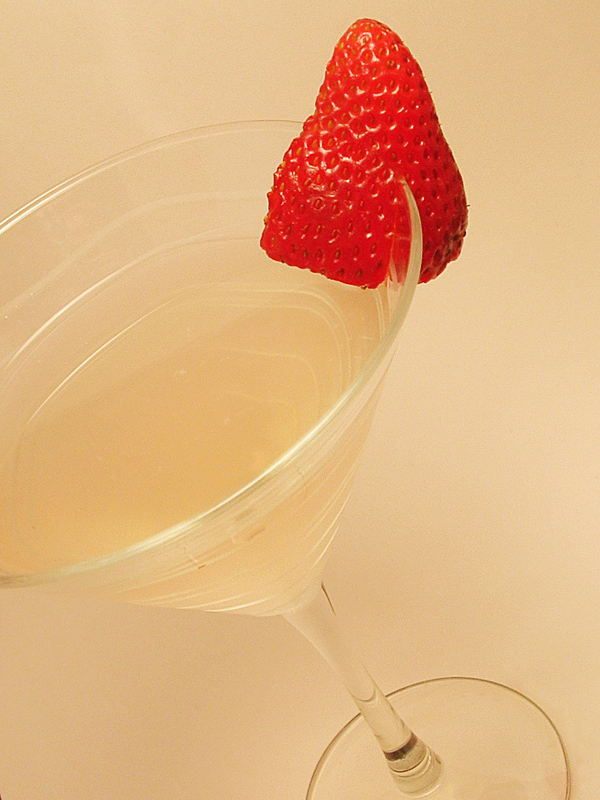 Add a splash of dry vermouth to the chilled martini glass, swirl and discard the excess. Shake the cocktail shaker a few times then strain into the chilled martini glass. Garnish with a fresh slice of strawberry.